I have a BA in English & American Literature and Drama, and an MA in Multimedia Journalism. I am now a freelance writer living in West London. Situated on Camden High Street, in a Grade II listed building, you will find one of London's most iconic and unique nightclub and live music venues. 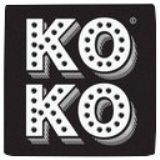 KOKO was born in 2004, but as demonstrated by the classic architecture, has a long history behind it. The building was first opened in 1900 as The Camden Theatre, one of the largest theatres in London outside the West End. Following this, it closed and re-opened as a variety theatre and later a cinema. In 1972 it transformed into a live music venue and in 2004, The Camden Palace became KOKO. With a dark red interior and trendy décor, KOKO promotes a rather boudoir-esque feel and is one of the most stylish and original places for a night out in London. The ground floor comprises of a stage and a dance floor where the main action occurs, while the second floor has a collection of plush sofas – perfect for those seeking a more chilled out atmosphere. There is also a roof terrace where you can enjoy your drink and the view of Camden. Gigs can take place any night of the week, and are advertised on the club website. Fridays host Club NME, the most popular night of the week, which showcases the hottest new bands at the start of their careers, followed by an indie club night. Saturdays alternate, but offer a range of club nights featuring pop, funk, rave and electro music. Artists that have performed at the venue since its opening include: My Chemical Romance, Tina Turner, Bombay Bicycle Club, Coldplay, Friendly Fires, Prince, Madonna, Red Hot Chili Peppers, Scouting for Girls, Blonde and Bruno Mars to name a few. Whether you're after live music, a bit of a boogie, or a social drink, KOKO offers an ideal night out, a cool atmosphere and a one-of-a-kind experience, to suit all kinds of music tastes. Why? London's most iconic and unique nightclub and live music venues.